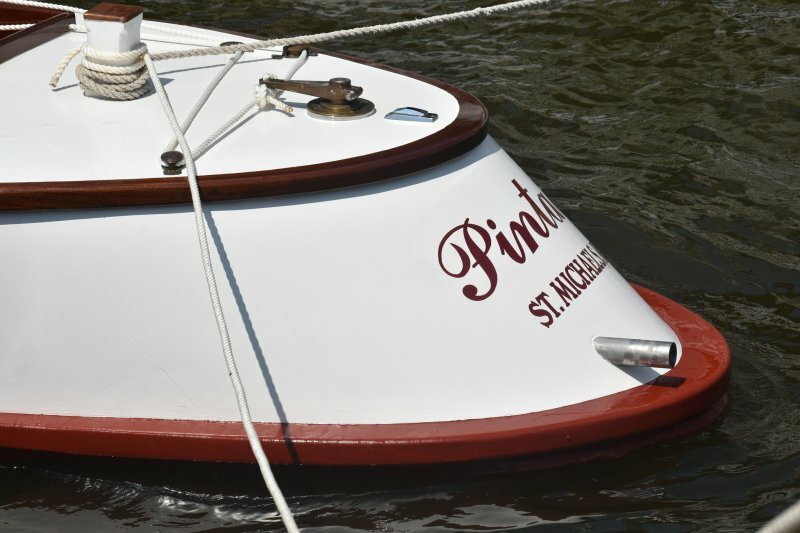 Pintail is a 25′ Chesapeake Bay draketail built by participants in the Chesapeake Bay Maritime Museum’s Apprentice for a Day Program in St. Michaels, Md. 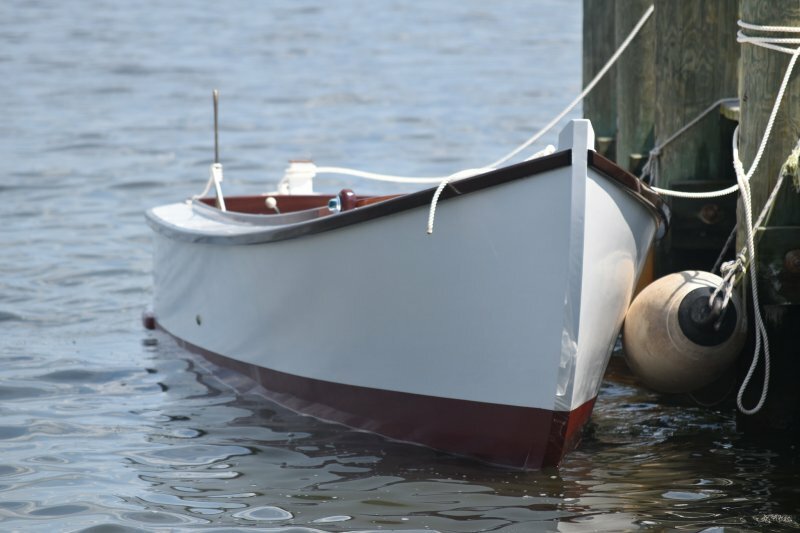 Draketail boats were built along the Chesapeake Bay in the early 1900s for oyster tonging and trotliing for crabs, with gasoline engines and a special stern that looked like a motor racer. She is built of white oak for the structural members, Atlantic white cedar for planking, Mahogany seats, gunwales and coaming. The floor boards are sassafras with a glassed okoume engine box. The aft bulkhead, floor boards and seats are removable for ease of access. There is a forward hinged compartment for storage. 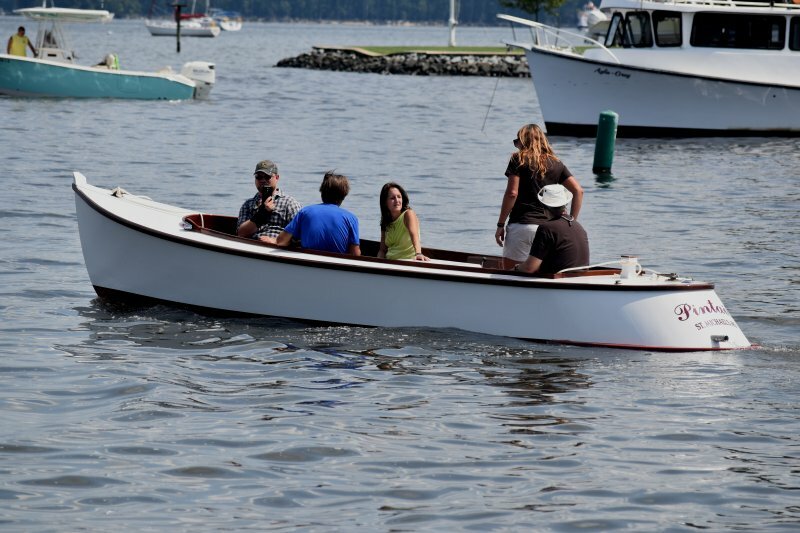 She is equipped with an 8 gallon fuel tank, a 14hp 2-cylinder Yanmar diesel, and is fitted with traditional stick steering and has bronze hardware through out. She has white top sides and decking with bright trim.